Implementing smart contracts to automate the performance of high-value over-the-counter (OTC) financial derivatives is a formidable challenge. Due to the regulatory framework and the scale of financial risk if a contract were to go wrong, the performance of these contracts must be enforceable in law and there is an absolute requirement that the smart contract will be faithful to the intentions of the parties as expressed in the original legal documentation. 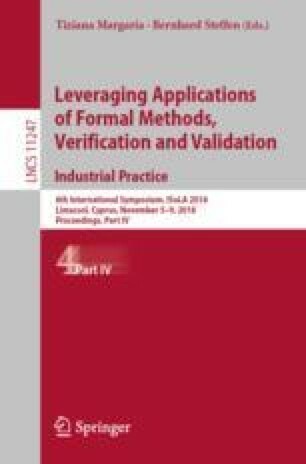 Formal methods provide an attractive route for validation and assurance, and here we present early results from an investigation of the semantics of industry-standard legal documentation for OTC derivatives. We explain the need for a formal representation that combines temporal, deontic and operational aspects, and focus on the requirements for the temporal aspects as derived from the legal text. The relevance of this work extends beyond OTC derivatives and is applicable to understanding the temporal semantics of a wide range of legal documentation. The authors are grateful to UCL students Justin Jude and Mengyang Wu who assisted this work by reviewing logic frameworks and providing supporting tools.